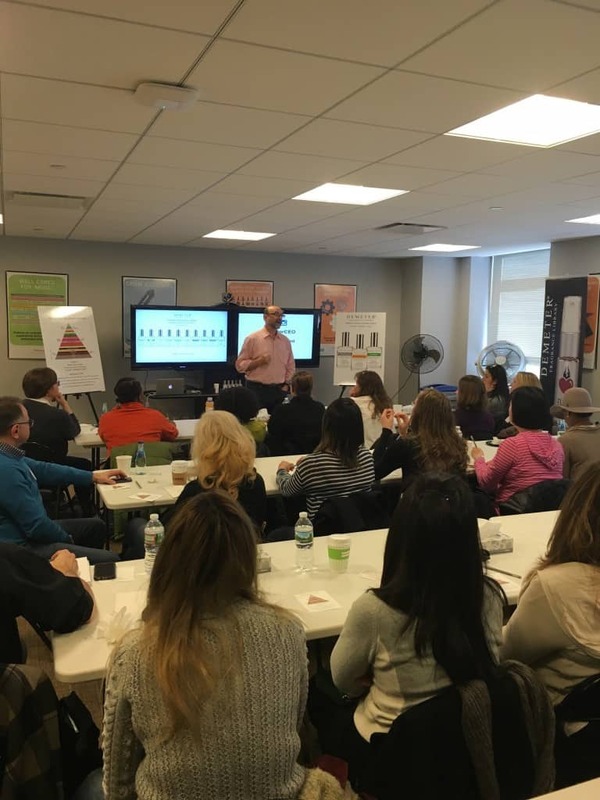 Event Recap: #SniffaDemeter Fragrance Library Personal Blending Master Class & A Giveaway! 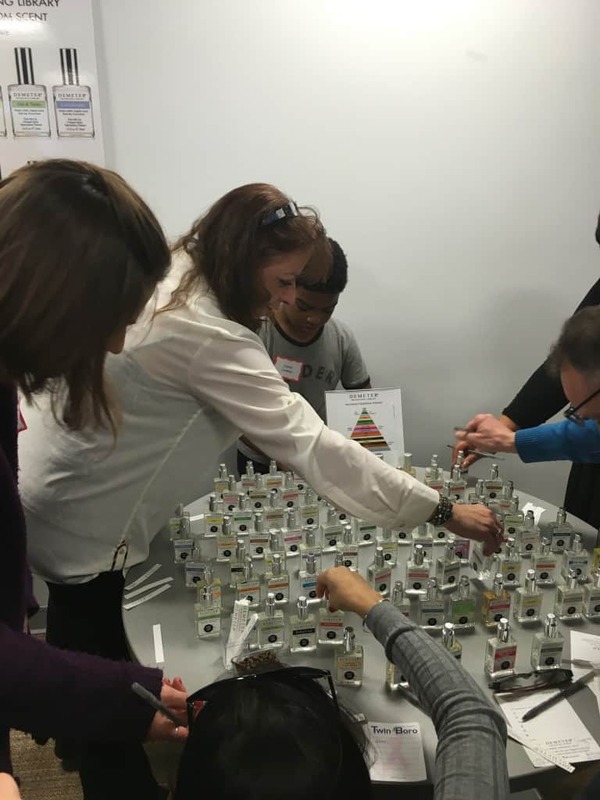 Wall Street saw an olfactory uptick last weekend when 75 fragrance enthusiasts gathered at The Trump Building’s Duane Reade Training Center for a very special Sniffapalooza Demeter Fragrance Library Personal Blending Master Class. Demeter CEO Mark Crames shared details of the brand story – it’s a family owned and operated business with a mission to change the way people feel and enjoy life through scent. An attorney by profession, Mark worked on fragrance industry issues and found himself so intrigued that he ended up joining the industry himself. He purchased Demeter in 2002 and his grown children, including daughter Blair who helped expertly organize this event, are helping him see the company into the future. We’ve been Demeter fans since we first discovered Tomato, one of the original three scents created, along with Dirt and Grass. Now there are over 300 single note scents inspired by everyday objects and experiences, which we got to spritz, sniff, and combine to create our own personal fragrances! 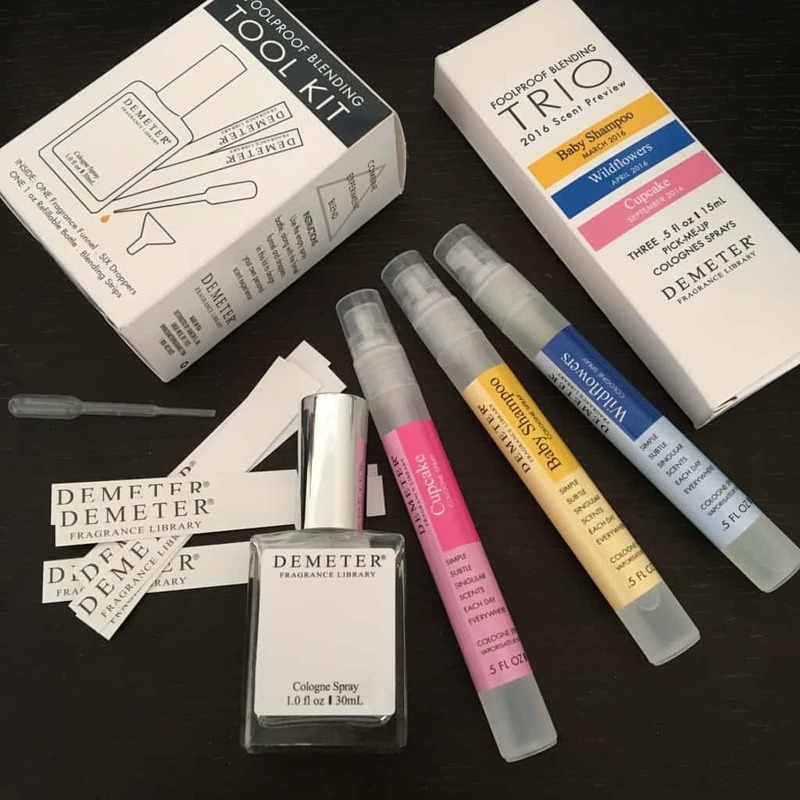 We’d love to share the fun, so we’re giving away a Demeter Blending Kit, complete with dropper, funnel, empty bottle, and scent strips, so you can create a bespoke fragrance too! Also included is a very exclusive treat – three as-yet unreleased Demeter scents – Baby Shampoo, Cupcake, and Wildflowers. Just leave a comment below and tell us your favorite Demeter fragrance. One winner will be chosen on Monday, March 14. US only. Good Luck! A special thank you to barbara grudzien, zack melson, and the demeter and duane reade teams for such a successful event!